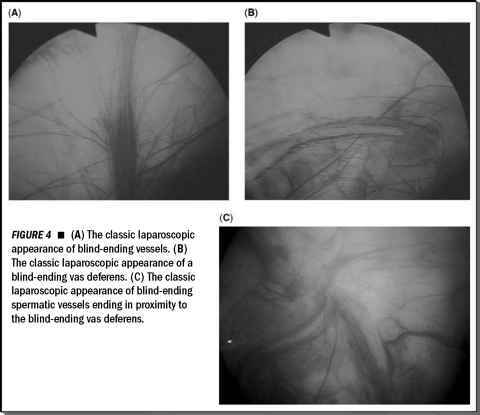 The presence of a crossing vessel is not a contraindication for laparoscopic- or robotic-assisted repair. The principal contraindication to any minimally invasive approach is a long segment of obstruction, precluding the performance of a tension-free anastomosis between normal ureter and the renal pelvis. Age, body mass, prior operations, and/or side of involvement are other possible exclusion criteria. long strictures, crossing vessels, or a large redundant renal pelvis. The indications for open and endoscopic management of ureteropelvic junction obstruction are still evolving, and careful patient selection for each approach may yield improved success rates (24). The presence of a large struvite stone may present a relative contraindication to robotic-assisted pyeloplasty repair. However, several series of laparoscopic- and robotic-assisted pyeloplasty repairs with concomitant pyelolithotomy have been performed without difficulty. Smaller stones were simply grasped and removed under direct vision or entrapped using a flexible cystoscope. Larger stones were taken out with an EndoCatch® bagb (19,20,25-29). However, in the setting of struvite renal calculi that cannot be easily accessed via a laparoscopic procedure, an alternative approach may be more appropriate. The presence of a crossing vessel is not a contraindication for laparoscopic- or robotic-assisted repair. In such instance, a dismembered Anderson-Hynes type repair is recommended. Indeed, some authors do not obtain preoperative studies to detect crossing vessels, believing that intraoperative recognition is readily apparent and addressed at the time of surgery (19). Nephrectomy is often the preferred option for kidneys with no function or poor function and minimal potential for salvage. When repeated attempts at repair have failed and further intervention would be complicated with a low yield for success, nephrectomy may be considered as well. Additionally in patients with significant medical comorbidities, advanced age, or limited life expectancy, nephrectomy may be a suitable option. In any situation warranting surgical removal of the kidney over a reconstructive procedure, it is of extreme importance to verify the presence of an essentially normal contralateral kidney on the basis of radiographic or radionuclide studies. A bowel preparation is usually recommended especially when robotic surgery is performed by the novice practitioner.